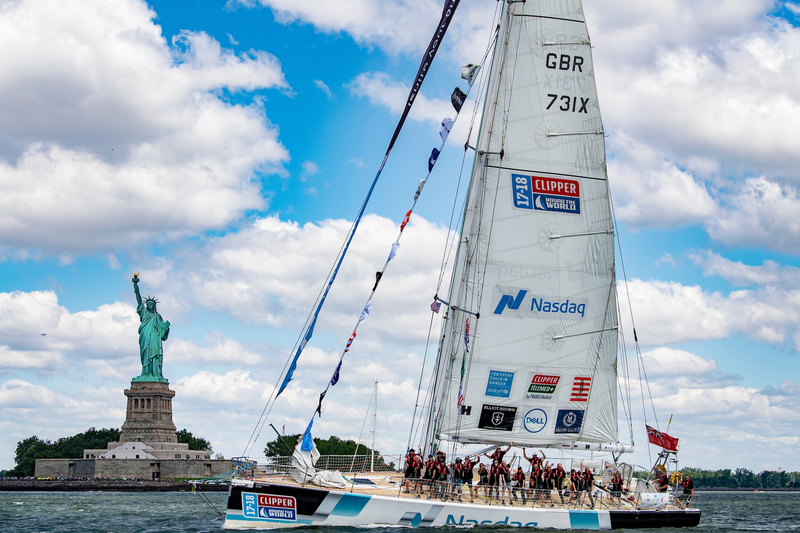 The Clipper Round the World Yacht Race has commenced the final Leg of its circumnavigation across the North Atlantic from New York, USA, to Liverpool, UK, via Derry-Londonderry in Northern Ireland. Leg 8 is formed of two races, with the first being Race 12: LegenDerry Race which got underway today, Monday 25 June. 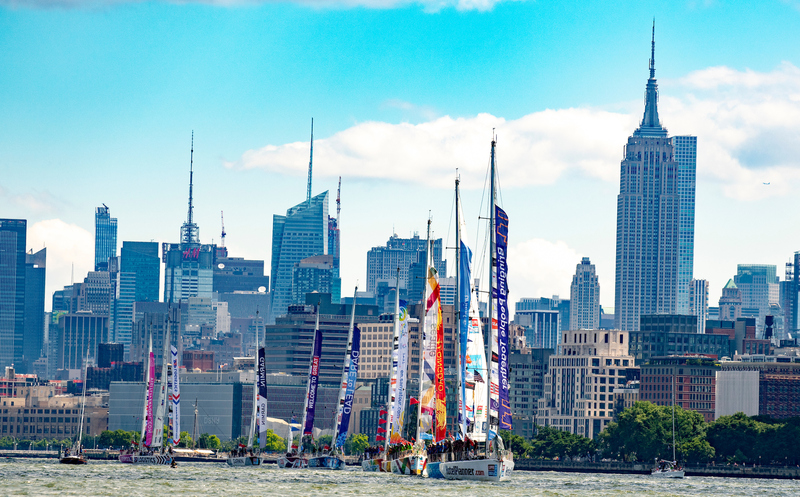 The day started with a parade of sail on the Hudson at 1000 local time, before the 232 non-professional crew members from many different walks of life wave goodbye to the Big Apple to rendezvous offshore for a Le Mans start at 1800 local time on Tuesday 26 June. Australian skipper Wendy Tuck and her highly competitive Sanya Serenity Coast team are going into the final Leg of the 2017-18 edition holding a 19 point lead over second placed Qingdao. However, third placed Visit Seattle, led by the youngest ever Clipper Race Skipper Nikki Henderson, 24, is only four points behind second position. And as the team is yet to play its point-doubling Joker Card, there is a possibility of a Clipper Race first female one-two when the circumnavigation concludes in Liverpool on 28 July. Race 12: The LegenDerry Race will be a tough 3,000 nautical mile race which is set to take up to 19 days and will feature the sixth and final ocean crossing of the circumnavigation. In the North Atlantic each of the eleven teams may encounter weather as heavy as it was in the North Pacific. Swirling depressions can result in high winds and big swells, whilst teams will also need to be on the watch for icebergs, though the strict ice limit will protect the fleet from getting too close to ice fields. The final stage should be an enjoyable rollercoaster ride, with fast downwind sailing on offer in the prevailing westerlies. 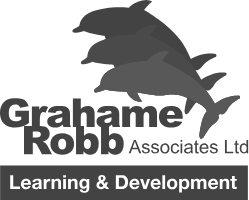 And all the effort will be worth it, when the teams arrive to the LegenDerry warm welcome in Derry-Londonderry, and all the fun and excitement of the Foyle Maritime Festival. Following one final race, and after the teams have crossed six oceans and visited thirteen stopover ports on six continents, the fleet will return to Royal Albert Dock Liverpool almost a year later for Race Finish on Saturday 28 July 2018, where one of the eleven teams will be awarded the illustrious Clipper Race trophy.